Features high quality tapered roller bearings for longer life and decreased maintenance. I wouldn't recommend anything but pivot works bearing kits. They are the best hands down. they work well. Direct OE fit. No complaints. I am happy with the outcome. pivot works is a very good brand, installation went smoothly, using Rocky Mountain video. It's amazing what new bearings can do!! I didn't realize how bad they were until the process of replacing them began....bearings are relatively cheap to replace....so if things seem stiff..?? DO IT! ...it's well worth it!! They fit and work great. The seals are not the best. But they work. Installed on my sons ktm 85sx. I had some trouble removing the old bearings from the shaft. The new bearings fit well and assembled easy. I would buy them again. I mean come on its pivot works. Honestly pretty good. Hardest part is the install. I’ve heard about pivot works and I’m very happy with products. Hopefully will make my steering a lot better. Ordered due to previous reviews, however this steering stem kit for my 09 YZ250F was not a good fit. Pivot Works attempted to make an improvement on the stock bearing by molding a seal to the top bearing. The problem is that the seal had a 3mm raised edge on it that wouldn't let the top OEM cover rest properly on top of the top bearing. Poorly designed..I returned and ordered an OEM set and they had also made the improvement to their bearing and I'd sonproperly without the raised edge. OEM is a little more, but worth it in my opinion. Worked just as good as OEM but at half the cost. Definitely worth buying over OEM. Used on 17 ktm 50sx. I haven't used these bearings yet. They are installed, fit well and the kit included the necessary seals. Seems like good quality, however you can't tell who makes the bearing (koyo, skf, etc). If you have the original bearings, I recommend taking them to a bearing house and sourcing them from there. It'll be much cheaper and possibly better quality. 2006 yfz 450 steering stem bearing replacement kit. 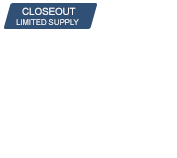 It's much cheaper than buying all the oem seals, collars, and bearings individually. Comes with everything you need and was very easy to install. I recommend it. Can't beat the price and quality. Fit well and smooth feel!! Great product fit well during install and great feel! Pivot Works Steering Stem Bearing Kit. We purchased the Pivot Works Steering Stem Bearing Kit recently From Rocky Mt. Atv/Mc. The bearings were a perfect fit and fixed our steering problems. The kit was complete and even came with grease. Rocky Mountain always ensures our parts are delivered within a day or two enabling us to race week to week. The staff are always courteous and helpful . Pivot works is top shelf replacement bearings. If you're gonna replace your steering bearings, don't cheap out. This is the set to have. Exceeds OEM quality, fits perfect, and even comes with a tube of grease. No other offering from any other company comes close. Fit perfect and are smooth as butter. Will use on other bikes if needed in the future. Fit perfectly. Rocky Mtn. ATV/MC how to video made this job so much easier. Can't beat the product, service & support! made my steering smooth as silk, came with both seals, races, and bearings. quality complete kit and lifetime warranty. can't beat that! This bearing kit works great. Seems good quality and installed nicely with all needed parts there. No issues so far. No problems installing, worked great for 3 years now. Fits my 07 YZ250F perfectly, upper dust cap is the exact size. Worth the extra $$ compared to the other brands. Bearings are great and the races went in just like they should. everything you need to replace the head bearings. Does this kit come with top and bottom bearings? BEST ANSWER: Yes, all bearings, races, and seals in the steeing stem are included. Yes it does too and bottom kit. Races and bearing are match set. Worked really well for me. 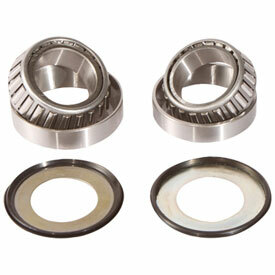 Yes, both bearings and separate seals if not using updated bearings with integrated seals. Yes it does, everything except the tool to remove the outer shell. hope this helps. Yes, the kit includes both top and bottom bearings and races. The kit for my 400ex came with both. Yes, it also has the seals. Does the pivot works starting stem bearing kit come with the seals for the job? BEST ANSWER: I'm not sure that all kits include the seals, but The kit for 2011 YZ250 comes with the seals. Yes, the seals are included. Generally, they're pre-installed on the bearings. Yes it does come with the seals needed. Yes Steven my kit was complete. Does it come with top and bottom? BEST ANSWER: Yes the kit comes with top and bottom bearings and seals. Yes, Top and bottom bearings are included. Yes, it's a full set. Does it come with the races? BEST ANSWER: Yes it does. Buy the tools to remove old races as well as install new lower seal and bearing on stem. It makes the job a 1000 times easier. Yes it is a complete cup and cone (races) set with upper and lower seals.